In this article, I’m going to teach you how to use phenibut for opiate withdrawal. Phenibut is a truly incredible natural supplement that has powerful relaxation, sleep-inducing, and mood-enhancing effects. I just learned about phenibut a few months ago, and after trying it out on myself a few times, I’ve put together an effective phenibut for opiate withdrawal protocol that is easy to follow and inexpensive. If you’re interested in learning about phenibut for opiate withdrawal and how you can use it safely, you’ve come to the right place. Phenibut is a neuropsychotropic drug that was discovered in Russia in the 1960’s. In 1975 phenibut was incorporated into the Russian cosmonauts’ kit for individuals who participated in the Apollo-Soyuz joint mission. Since conventional tranquilizers for stress and anxiety can lead to feelings of drowsiness (not cool for people in spacecrafts), phenibut was mandated to be included in the Russian cosmonauts’ medical kit. Note: Phenibut is widely used in Russia to relieve tension, anxiety, fear, to improve sleep, and as a pre- or post-operative medication. Phenibut is also used to treat depression and PTSD. Phenibut is a Central Nervous System (CNS) depressant and derivative of gamma-aminobutyric acid (GABA). GABA is an inhibitory neurotransmitter that produces feelings of calmness and tranquility. GABA inhibits nerve transmission in the brain, thus calming nervous activity. I often refer to GABA as the brain’s “natural Valium”. However, since Valium and other anxiolytic (anti-anxiety) medications in the benzodiazepine class of drugs bind to GABA receptors, one could also refer to Valium as “unnatural GABA”. GABA is sold in supplement form, though the general consensus is that GABA supplements cannot penetrate the Blood Brain Barrier (BBB), so their efficacy is questionable. However, the Russian chemists found a way to create GABA-like supplements that can cross the BBB and function like GABA in the brain. Beta-phenyl-gamma-aminobutyric acid HCL, also known as phenibut, is a designer GABA analogue. Phenibut is the result of chemists adding a 6-carbon ring to the GABA supplement, thus allowing phenibut to effectively cross the barrier and act on GABA receptors. Phenibut has anxiolytic and nootropic (cognition-enhancing) effects. Phenibut acts directly on the GABAB receptor sites. 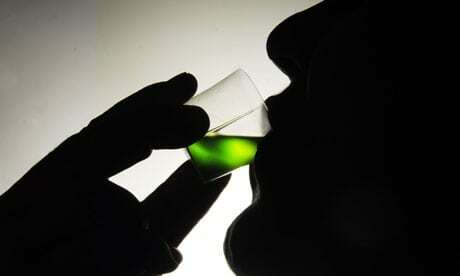 Drugs and substances such as baclofen, GHB, and alcohol also bind to these sites. Some believe that high doses of phenibut also bind to the GABAA receptors, which is where benzodiazepine drugs such as Valium, Ativan, Klonopin, and Xanax bind to, though this is a topic of debate in the scientific community. Note: Another exciting aspect of phenibut is it’s stimulating action on dopamine receptors, which causes an increase of dopamine, a key neurotransmitter for feeling pleasure, happiness and motivation. When I first learned about phenibut for opiate withdrawal a few months ago, I decided to try some out on myself from a strictly investigative perspective. My goal was to try a few different dosages to see what could work best for opiate withdrawal anxiety and insomnia. I quit Rx opiates and heroin years ago, but even though I wasn’t using phenibut for opiate withdrawal, I feel like I found a great dosage that can work well for most individuals. First I tried 500 mg of phenibut. Phenibut, unlike most supplements or drugs, comes on very slow. The typical duration for phenibut to achieve peak effects is four hours, and I felt my first dose around two hours in, with it peaking at about four hours. I felt a deep relaxation in my body and mind, and the tranquility stayed with me throughout the day, ending in a very restful sleep. Note: The next time I used 1,000 mg of phenibut. It was way too strong for me! I felt this “out of synch with reality” feeling. Yes, I was relaxed, but I didn’t have the pleasant nootropic benefits I received from the 500 mg dose. However, this higher dose could be very beneficial for opiate withdrawal-induced anxiety. Also, due to biochemical uniqueness and GABA tolerance, optimal dosages will vary between individuals. Based on my in-depth research, as well as my personal use of the supplement, I’ve come up with some phenibut for opiate withdrawal dosing guidelines that you will benefit from adhering to. Dosages of phenibut may vary depending on the individual’s GABA tolerance and sensitivity. Start with a low dosage of 250 mg to test your tolerance to phenibut. After 4 hours, if you don’t feel the effects take another 500 mg.
During the day take between 250-500 mg of phenibut per dose for opiate withdrawal anxiety. A few hours before bedtime, take up to 500 mg of phenibut for opiate withdrawal insomnia. 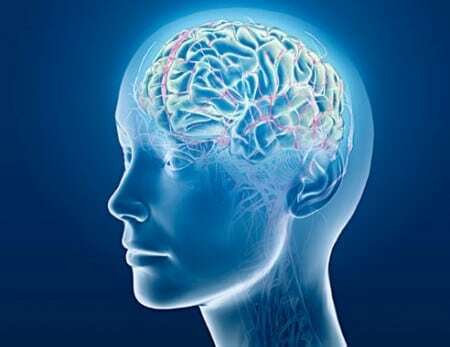 Only use phenibut for opiate withdrawal a maximum of 3 days, otherwise, you can experience phenibut withdrawal symptoms (you can avoid this by continually cycling phenibut 3 days on, 3 days off). Phenibut’s half-life is approx. 5-6 hours. Do not redose anytime before the 4-hour mark. Note: Phenibut comes in crystals or powder. Some brands have them already in capsules, but they are more expensive. 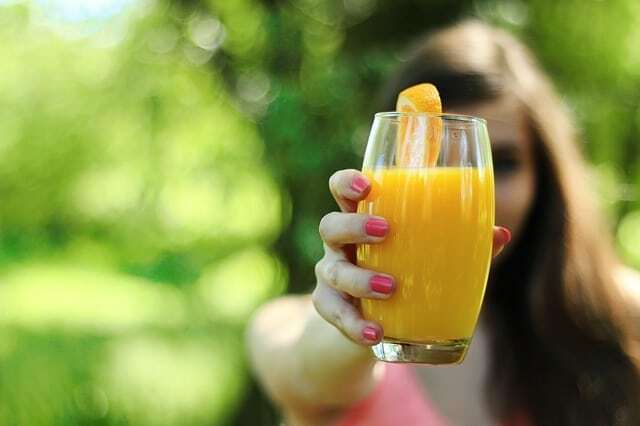 It’s cheaper to purchase it loose and either mix it with a beverage of your choice or put them in your own capsules to avoid the unpleasant taste. Mixing phenibut with other GABAergics is dangerous. Mixing phenibut with GHB, alcohol, and benzodiazepines can lead to respiratory depression and death. Phenibut should not be used by individuals with Parkinson’s disease. Depending on what country you live in, phenibut may be considered a prescription-only drug, an over-the-counter drug, or a dietary supplement. Presently in the USA, phenibut is legally sold as a dietary supplement. Phenibut is hard to find at retail stores, though it’s widely available for purchase online. After researching different products and prices, I found an awesome company online that sells high-quality phenibut for cheap. I tried it out for myself and LOVED it. Very good stuff. I HIGHLY RECOMMEND phenibut as an effective opiate withdrawal remedy. If you have any questions on using phenibut for opiate withdrawal, please feel free to post them in the comment box below. Hi, I’ve been reading a lot of your articles/emails Matt about getting off opiates and your suggestions. I’ve taken a lot on board. Thank you. I do have a question though. I’m trying to get off Lamotrigene which is anti convulsant. I use it as a mood stabiliser. It levels my brain but last May when I tried to come off it (125mg) per day I got horrible withdrawals and was suicidal, agitated, anxious, tired, cried all the time, shaking etc, but the suicidal thoughts really worried me as I have attempted that before. I just felt like I wanted to die really. I finally got off it in Aug 2016 but still the shaking continued and he thoughts. A psychiatrist put me on Zyprexa which is an anti psychotic and Benztropine to help with the shaking, but things didn’t get better and I continued to shake. I’d had enough by Dec (4 months off Lamotrigene) but I had the craving to go back on it, so I did hoping it would stop the shaking, but it hasn’t. 14 months now of shaking and I can’t take much more. Some days I can’t even sign my own name. The shaking and the up and down days is consuming my life. I tried tapering in April 25mg every fortnight and that was no good, then tried every 3 weeks due to the horrible side effects last year. I was down 2 days with only 5 to taper but again the withdrawals were too bad. I’m also taking Valium and Oxazepam to try and help. I tried to talking to my doctor but he was no help, spoke to many professionals and finally the medicine information line told me that I had shocked my brain and was to go back to 75mg per and stabilise again. During my tapering I followed information that you suggested such as the DLPA and I felt like I was getting a bit of my life back until I had 2 massive panic attacks. The first one actually felt like a stroke that dose was the 500mg. I lowered the dose to 125mg the next day but also had a panic attack, so obviously Lamotrigene has some anti psychotic and anti depressant in it which I didn’t know and wouldn’t have taken the DLPA due to the warnings it said about taking it if a person was on those 2 things. 3 weeks ago I started tapering as per the Medicine Info people and they said 75mg one day and 50mg the next. I’m still shaking of course and this is my 3rd week and still having up an down days and mainly staying in bed and sleeping. Not motivated to do anything and now my doctor has told me he’s not giving me anymore scripts for the Valium or Oxazepam yet he knows I shake and tapering. Don’t know where his duty of care is. I have 5-HTP but again I’m not sure whether to try it or not as the DLPA incident scared the hell out of me. I read your Finch Formula and I have Phenibut now but it says not to take it if you take Benzo’s and I was confused about what GABA ergics were or whether Lamotrigene contains the GABA ergics or not, so now I’m worried about that as well. I take the Oxazepam when I get up and valium through the day as required. So, if I didn’t take the benzo’s when I wake up or through the day would I just take the Phenibut? I don’t even know how much to take of the Phenibut as I’m very sensitive to meds etc. I’m down to 41 kilo as I don’t have an appetite again what the Lamotrigene has caused, am 167cm and female. Would you be able to advise me please of how much to take? I also suffer from insomnia as well so I would like to try the Phenibut at night to sleep, so I guess if I did that I wouldn’t take the Zolpidem (Stilnox) would I? I’m just stressing out and my anxiety is hitting the roof and I desperately need your advice. I know you can’t give medical advice but I really need to know how to handle coming off Lamotrigene as it’s doing more harm than good and I won’t be able to manage now without the Benzo’s hence the reason I want to try the natural supplements. I’m scared to try the Phenibut without your professional opinion and I’m getting nowhere with the professionals I’m talking to. No-one seems to know much or anything about DLPA, 5-HTP or Phenibut. I’m desperate to try all these natural ways you have spoken about. I’m taking 2000mg of Vit C, Thiame 3 per day, 2 Magnesium, multi vitamin. I can’t afford the calm support or the Kyani which is ashame. Just after your professional opinion as you have experience and knowledge which I’m reading about all the time and taking on board what you’re saying. I’m at a loss and don’t think I can manage going through this alone all over again. Desperately seeking your advice. I just want to get off Lamotrigene and get my brain back as it’s blocking so many receptors. I don’t laugh, smile, socialise, depressed, tired, nauseous, headaches, I don’t leave the house unless I have to and I can only drive when the shaking eases, my life is a nightmare and now I’m stressed out over my doctor cutting me off. Hoping you have some advice please. I have tried to contact you numerous times on your contact page but never get any replies so I’m hoping I get one from posting this. Thank you for your words of wisdom, a real person that’s been through what a lot us are going through and come out the other end shining. I admire you. I’m in Australia so I’m not even sure the Psychiatrist would prescribe Gabapentin here. I may even have to look into going to re hab to get off this if I can’t do it at home. I’m getting desperate. Please just make sure you do not pass the three day mark with phenibut. It got me off opiates but I took it every day and ended up dependent . It was a very long and anxious taper to get off it. Being back on opiates again I will use it to get off them but only once or maybe twice a week. A recommendation from me would be to have maybe one day phenibut then two days Kratom and another phenibut. Great recommendations Be. Appreciate you leaving this comment. Does Gabapentin really help opiate withdrawals? Never tried that. I’ve tried phenibut, benzos (which do help some), Loperamide, and kratom. Kratom eliminates all withdrawals but then I find myself having trouble quitting kratom. I have been unsuccessful trying for a year. So my question. If I wanted to ask M.D. 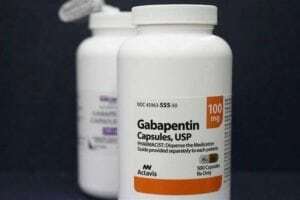 for prescription of Gabapentin, what dosage and frequency should I take? Gabapentin helps very well for many to fight opiate withdrawal. As a matter of fact, when anyone asks opinions in the support groups that I belong to or the forums , Gabapentin is often the #1 answer. IT seems to work best for those who haven’t already been taking it and built up a tolerance to it. The dosage that helps for withdrawal is different for each person. Hi all ,, can i take phen while i am still on my subtx script being that sub is a blocker ,, wana try it to see how much it may help me ? I think phenibut might help me as long as I take something else for the nerve damage pain. Unfortunately, kratom is now banned in the UK, and it looks like there is a huge possibility that in the US the FDA (food & drug administration) will be classifying kratom as a Schedule 1 drug (same class as heroin) effective on September 30, 2016. Hopefully this will not pass. I uhh wanted to investigate purposes also. What worries me is that I found out that I’m allergic to Morphine.. Even a baby drip lowered my hear rate down to 23.. Luckily this happened in the ER and they were able to recover me.. Is Phenibut or Kratom related to the morphine family in anyway and should I be concerned about taking them? I am trying to come off a high dosage of tramadol (600mg a day) , I wondered if this would help ? Or if your method is effective for a synthetic narcotic like tramadol. It’s really ruining my life and my tolerance climbs higher by the week 🙁 . Let me tell you guys what, I am a heavy opiate user and suffer withdrawals all the time it’s just a part of the game right? No.. No more withdrawls I’ve figured it out, lyrica or gabapentin with a dose of phenibut and loperimide and you are set.. I take about 450 mg of lyrica or 1800mg of gabapentin and a rough estimate of about a gram of phenibut, wash it down with nexium and Loperimide(nexium helps the loperimide cross blood brain barrier if taken 40 min prior to taking loperimide) and you will ride your withdrawls out like a champ!!! Now everybody is different but I know this works!! Thanks Matt. Can I take the valium to help sleep and the DLPA to help with deficiency in my endorphins and dopamine? Hey Rick, I haven’t seen these two contraindicated with each other. Make sure to ask a doctor before trying any new medications or supplements, and especially when combining them. Somewhat similar to Phenibut, Picamilon was also developed in Russia and continues to be Rx there but OTC here in the US. Picamilon is an engineered molecule composed of GABA and niacin, which, unlike plain GABA, readily crosses the blood-brain barrier and then is hydrolyzed in the brain into its components. I feel that it is worthy of mention and consideration for two primary reasons: (1) Picamilon’s inherent safety. Unlike Phenibut and benzodiazepenes, which affect GABA receptors and pathways “unnaturally”, Picamilon supplies just GABA, the raw material so to speak, and doesn’t change neurochemical processes. Practically speaking, this makes its effect much more subtle but also its toxicity and dependence potential are nearly zero, plus its side effect profile is quite benign — logically because it’s the same chemical that’s already in the brain, just in greater quantity. (2) Picamilon’s onset of action. Matt relates that Phenibut takes a long time to “kick in”, but if you administer Picamilon sublingually, you’ll know whether it’s going to work within a few minutes. I’ve seen it relieve common night-time Restless Legs Syndrome (RLS) in 30 seconds — faster than a benzo. Start with 250mg powder under the tongue, warms up a little as it dissolves, then wash it down with water or other after about 30 seconds, or you can take a capsule but it takes longer to determine whether it’s likely to work, Unfortunately, at least for me, it doesn’t help much with the “itchy bones”, all-over-the-body version of RLS that is frequently reported during opioid withdrawal. My reading and testing show that a wider range of effectiveness (mainly with anxiety relief) is perceived with Picamilon than with Phenibut, from “worthless” to “great”, presumably based on the individual’s unique biochemistry. If you’re willing to experiment, it might be effective for you, and with the above 2 advantages. So starting with a dose of 500 mg would be about right? Can phenibut be used along with kratom for suboxone withdrawal? Kratom and phenibut is actually a very popular combination for coming off Suboxone and other medications. In my opinion they are a match made in Heaven. Why do you say that they are a match made in heaven, can you explain the benefits from using them both for acute withdrawl? I am trying to make a plan and would greatly appreciate any advice on the subject. I say they are a match made in heaven because often the kratom works well for acute withdrawal during the day, but people are still not able to sleep. The phenibut helps to knock them out at night so they can rest for the next day. Matt, I have been using hydrocodone for a year and a half. I am a recovering benzo addict, anyways I was in sober for 10 years(off benzos and all other substances) I received hydrocodone for pain. You think after battling addiction for years I would have known better, but here we are and I am addicted again. I decided in October of last year that I was gonna stop taking them..because they are running my life and the financial end of it all. My entire family has know idea as I think that it would destroy them..after my addition to benzos…Well I have to say that the withdrawl was horrible. The rls..well I don’t think I could do it again..and I only stayed clean for 2 weeks because the depression..I felt that I couldn’t handle all that I have to handle and be so depressed I felt like I wanted to die. Like I said earlier nobody in my family knows..I also felt very alone. I am wondering if you might help me with something to stop the rls..I am working on a plan to taper..I was looking at the Kratom and the phenibut. That’s why I asked the question, why are they a match made in heaven. I wondered if that combo might help with rls. I want to take a minute to thank you..as I said I am doing this alone..I have know one to talk to and I feel as though this site is my friend and your post are a blessing to me. I want to thank you very much..for you life…and all you are doing to help stop the suffering of others..God bless you. The depression, RLS, fatigue, anxiety, and inability to feel any pleasure in life (“pleasure deafness”) are just some of the common symptoms why most opiate abusers get back on narcotics after quitting. Even months later, these symptoms can continue to linger, thus we can’t take it anymore, so we decide to use again for one frickin day of no symptoms…and the vicious cycle continues. I’m so glad you are getting some good information from this website…I love how you said this site is your friend. I know a lot of other people feel that way as well. There are remedies and strategies here for just about everything, and what isn’t available to you all yet is soon to come, as I have many more articles planned out on things people may not have even heard of yet. This article will not only help with RLS, but also for many other symptoms. Thank you very much for your kind words Ann. I hope to here from you again soon. Take care.